In a bid to thwart life restrictions, the Coopers set about creating a wish list of thrill-seeking experiences for non-verbal Sophie, who is also in wheelchair, hearing impaired and has problems with her eyes. They have spent 20 percent of the last 11 years in Intensive Care Units, Neonatal Intensive Care and hospital wards and that’s without acknowledging the never end stream of clinic appointments. Leanne, 35, and Craig, 38, decided it was time to live life to the max. 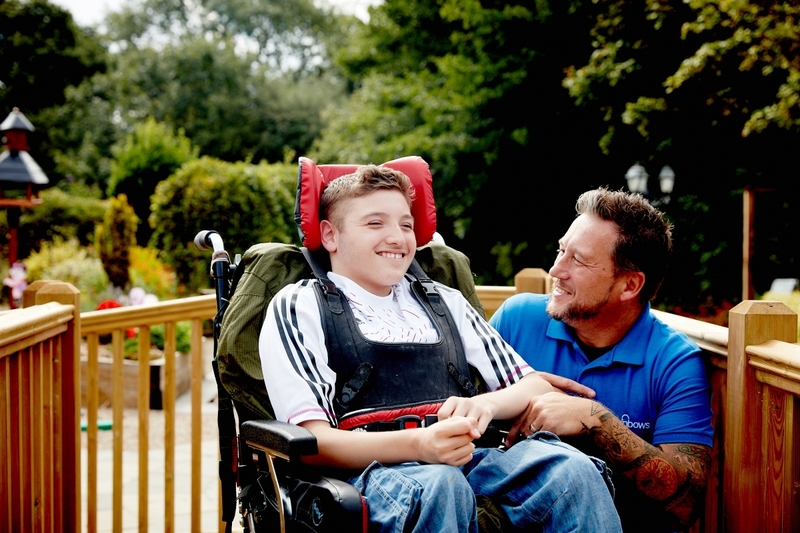 “Life has been so tough, we decided that life is for living, not existing,” said Leanne. “We needed to make quality memories and enjoy life. So we made a plan of exciting things for Sophie to do with her sisters and us as a family. “There was no way her disabilities would deter her,” said Leanne. “Sophie is fearless and her face lights up when she does an extreme activity.” Sophie’s adventures began when she reached the dizzy heights of 5,000 feet as she flew above the clouds in a light aircraft with her father, who is retired from the RAF Regiment. Not content with that, Sophie has plummeted down a zip wire with the biggest smile on her face and enjoyed a ride in a powerboat. The Coopers, who also have daughter Kyla, 10, and live in Lincoln, don’t like to dwell on the tough hand they have been dealt, which started when Leanne went in to labour at 24 weeks pregnant. As predicted, the roller coaster ride quickly began for the sisters. “We arrived at the hospital one morning when they were three days old and as soon as we walked in, we knew there was something wrong. “There were so many consultants around both babies and one was running in with a machine. We discovered that Sophie’s lung had collapsed and Erica had a hole in her bowel. We were told that we could lose them both that day,” she adds. The problems kept coming for the two tiny sisters. Erica’s bowel problems continued and she had an ileostomy, needing a Stoma bag. Because of this, the family spent their first Christmas together in hospital. As she grew up, Erica was diagnosed with a milder form of Cerebral Palsy than Sophie, along with Autism. For Sophie, it has been more serious. Along with her Cerebral Palsy, chronic lung disease and Scoliosis, she developed regular Apnoeas – a condition that affects breathing during sleep. She also started choking on her feeds leading to her being fitted with a Nasogastric tube which passes food to the stomach via the nose. This was later replaced by a Gastrostomy button – a tube which passes nutrients direct to the stomach. She also needed an operation to tighten her oesophagus after she began vomiting a lot of blood. In the future, it is likely Sophie – who has received a WellChild Award for bravery – will need complex spinal surgery. 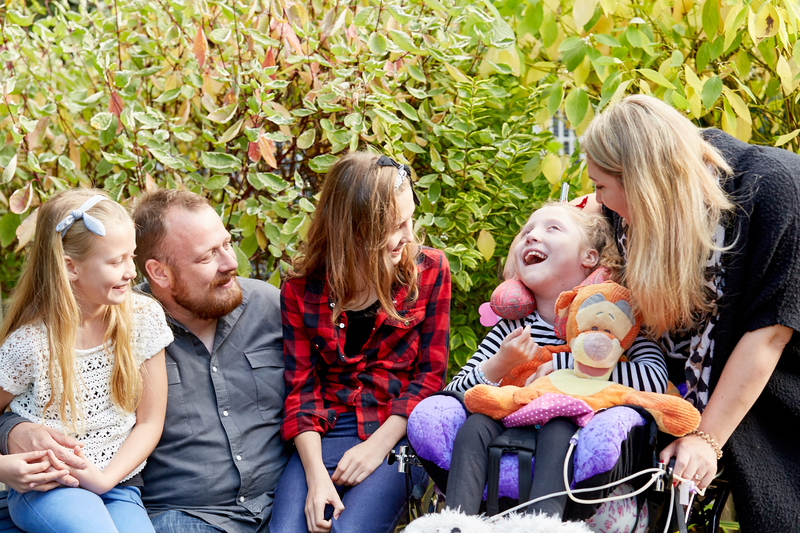 Leanne and Craig have been warned of the risk that they may lose Sophie but are proud advocates for ‘Quality of Life’ over ‘Quantity of Life’ believing that the surgery will greatly improve the time Sophie has. A reminder of the dangers facing Sophie came in November last year, when her condition suddenly deteriorated and she was rushed into intensive care with sepsis, where she required additional breathing support. A CT scan revealed further issues. Twists and scar tissue in her intestines that required surgery. But even after the surgery, Sophie’s recovery failed to materialise. And then one of her lungs collapsed. “We always knew Sophie might die prematurely – but that was the day we thought we might lose her,” says Leanne. It was discovered she had a perforated bowel, which needed to be repaired. For weeks following the procedure it seemed she was up and down, teetering on the edge of survival, latterly incubated in intensive care. And then the family took the decision to go ahead with a tracheostomy in a bid to ease her breathing difficulties. 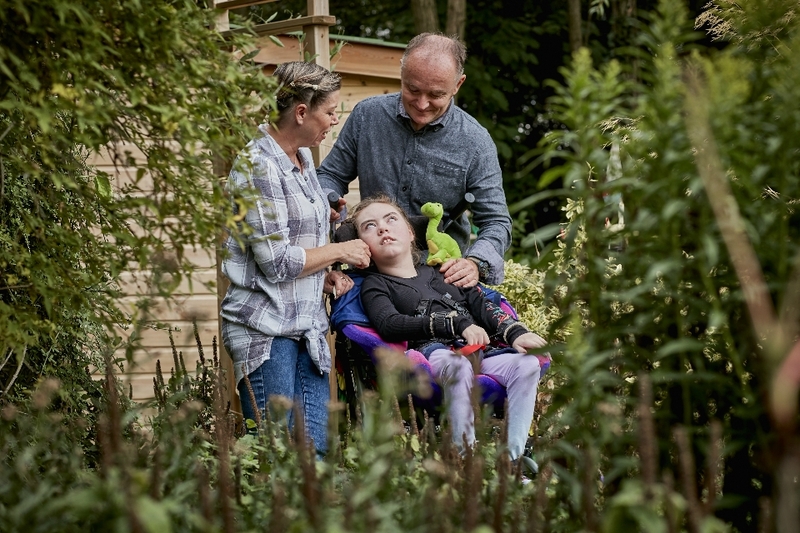 Finally, after nearly six months, Sophie was discharged from the Queen’s Medical Centre in Nottingham, where she had been cared for – and offered a boost to her continued recovery with a stay at Rainbows Hospice for Children and Young People in Leicestershire. “Those three nights at Rainbows were so needed, not just by Sophie, but the whole family to allow us all some restful, quality time together,” adds Leanne. Not only is Sophie cared for by its expert team, it is a place where the whole family can spend time together doing fun activities and creating treasured memories.